Built as a personification of limitless automotive expression, the supercar is an alluring creation built to encapsulate the finest engineering and technology. Unsurprisingly assembled with literally gloved hands, an auto manufacturer’s supercar is often characterized by limited production numbers and a high price tag. A cost that would be considered extremely outrageous for the majority of everyday motorists, supercars naturally cater to the social and financial elite. While these specialized vehicles often fill the extrinsic as well as intrinsic expectations for luxury and image, even the rare automotive supercar creations is not enough to fulfill their reality. Making exclusive vehicles into even more limited pieces of motoring mastery, some companies wait on the individuals willing to acquire an enhanced performance luxury car. Often defined as small automotive constructors based on the level of vehicle modifications, almost any popular supercar can be ratcheted-up beyond the original factory. Born on a V-10 powered Audi R8, West Virginia performance house STaSIS Engineering has turned the already feisty German supercar into a vehicle that can run circles around the Audi rings. A vehicle first presented at the 2010 SEMA Show in Las Vegas, the STaSIS Audi R8 5.2 Challenge Extreme Edition tests the widest boundaries for reengineering the mid-engined two-seater. Outfitted with a height adjustable suspension, Alcon brakes and forged 20-inch ultra-lightweight aluminum wheels, the STaSIS Audi R8 V-10 Challenge Extreme Edition vehicle attractive touches are all functional. The most substantial improvement to the Audi R8 V-10 has major performance tweaks added to the 5.2 liter ten-cylinder powerplant. STaSIS Engineering modifications for the Audi R8 V-10 Challenge Extreme Edition engine is topped by an Eaton / Magnusson TVS 2300 supercharger generating 7.5 PSI of boost pressure. Coupled with engine electronic remapping and a CNC machined intake plenum, 525 horsepower of the factory Audi R8 V-10 is swelled to 710 horsepower through the Challenge Extreme Edition changes. Netting a 35% greater power level than the stock supercar, the STaSIS Audi R8 Challenge Extreme Edition applies this extra momentum to 0 to 60 mile per hour acceleration times of just 3.1 seconds. 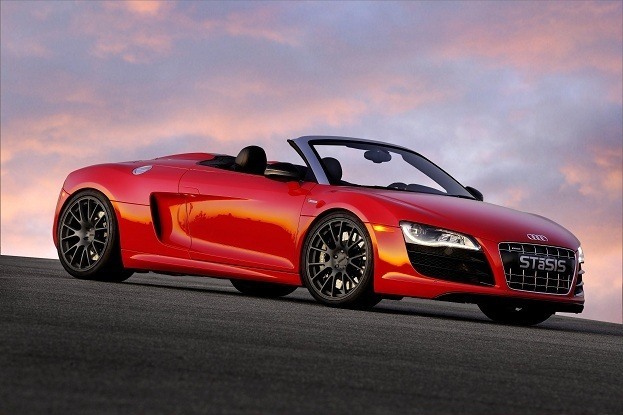 The Audi R8 5.2 Challenge Extreme Edition adds $55,995 up to the price of Audi R8 V-10 coupe or roadster. Alpina’s business relationship with BMW started in the 1970s when the eventual car manufacturer operated as a sports car race team. Fielding the BMW 3.0 CSL in competition, Alpina brought their collaboration with BMW to the streets in the 1980s. While the BMW M division attracts the most attention among enthusiasts, the Alpina B7 BiTurbo supplements the absence of BMW 7 Series version in the M line-up. In its fourth-generation, the Alpina B7 BiTurbo is a super sedan balancing high-performance, electronic ingenuity and luxury comfort. Incorporating its own LAVALINA leather and available piano lacquer interior trim, the performance sedan features a loaded assortment of BMW 7 Series equipment. Parking Distance Control, navigation system, xenon headlamps and control display with iDrive are included on the Alpina B7 BiTurbo. Distinguishing the Alpina B7 BiTurbo is unique front and rear spoiler pieces as well as some of the most beautiful 21-inch Alpina Classic lightweight wheels. Powered by a 504 horsepower twin-turbocharged 4.4 liter V-8 engine, an all-wheel drive version of the Alpina B7 BiTurbo is also available to move the sedan. In the United States, pricing for the 2011 Alpina B7 resides at $122,875 for the rear wheel drive or $126,775 for an all-wheel drive model. 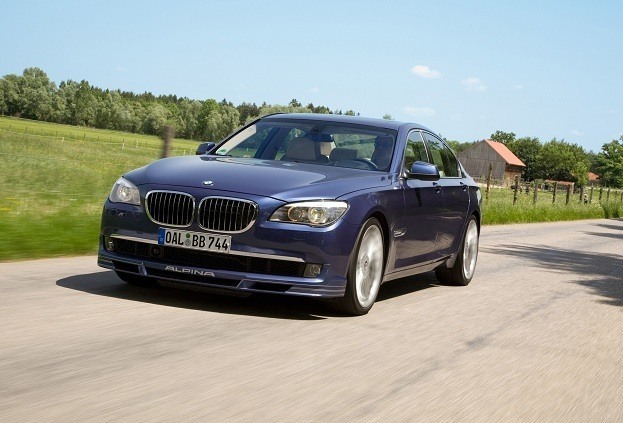 Admirable to buyers, the Alpina B7 BiTurbo is also a vehicle appreciated by source company BMW. Sold through authorized BMW dealerships, the German auto company continues to protect 7 Series derivative. Though Porsche has never produced an eight-cylinder powered 911 sports car, the RUF RGT-8 presents a vehicle to those desiring such a supercar. A packing a lightweight 4.5 liter V-8 engine, the RUF RGT-8 burns pavement with 550 horsepower fed through the rear wheels. An automatic limited-slip differential insures Michelin Pilot Sport Cup tires rotate the stylish 19-inch forged alloy wheels. 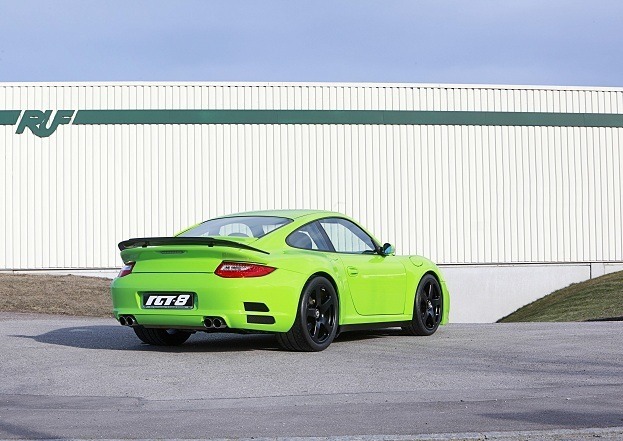 While official performance figures have yet to be released on this 2012 model vehicle, the RUF RGT-8 has a forecasted top speed of 205 miles per hour. The two-seat interior features a securing protection of a roll-cage structure. Auto racing-inspired interior touches; RUF has also conducted the honoured tradition of weight-savings through the application of aluminum door panels and a carbon fiber rear engine cover. While the architecture of the RUF RGT-8 is clearly identified with the Porsche 911, RUF Automotive acknowledges themselves as a small auto manufacturer distinct from the German sports car company’s image. Outfitting a wide range of vehicles, Edo Competition has modified BMW M5 Touring wagons, Porsche 997s and even Maserati MC12 supercars. From the Lamborghini Murcielago, the Edo Competition LP750 was created this past February. Meant to be the fastest Lamborghini Murcielago ever, the Edo Competition LP750 is shaped with specially-contoured aerodynamic panels. A redesigned rear spoiler and ultra lightweight alloy wheels are worn on the Edo Competition LP750 providing a stylish extension of Lamborghini performance. Speaking of performance, the Edo Competition LP750 receives a healthy power boost to the 6.5 liter V-12 engine. Totalling 750 horsepower, the special Lamborghini supercar presented by Edo Competition soars from 0 to 60 miles per hour in only 3.1 seconds. The Edo Competition LP750 takes just 24.5 seconds for a rush to 186 miles per hour from a standing stop. As the Aventador replaces the Lamborghini Murcielago as the Italian sports car builder’s flagship, it only seems reasonable to believe an after-factory preparation of the new generation supercar is only a matter of months away. The Mercedes-Benz SLS AMG immediately impressed with its late 2010 introduction as a spiritual recreation of the 1955 SL300 Gull Wing. The first Mercedes-Benz production vehicle to originate from the AMG speed lab, the supercar arrived with prime performance attributes. Despite the stock SLS AMG’s 563 horsepower and a 197-mile per hour top speed, aftermarket companies have found ways to further dress up the Mercedes-Benz supercar. 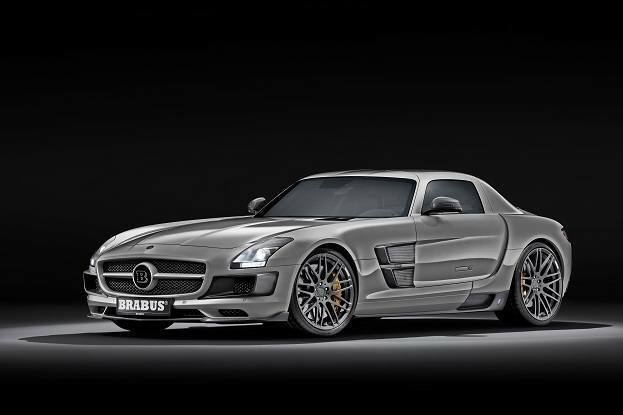 Long-time Mercedes-Benz outfitter Brabus was one company that quickly issued their exploration of the SLS AMG peak performance. Lifting horsepower to 700 horsepower by adding a twin-turbocharger system to the 6.3 liter V-8 engine, the Mercedes-Benz SLS AMG is turned into the Brabus 700 BiTurbo. While the stock SLS AMG’s 0 to 60 mile per hour acceleration of 3.7 seconds remains largely unchanged, the Brabus 700 BiTurbo’s enhancements come at the top end. Unlimited top speed potential of 700 horsepower allows this Brabus supercar to sail up to 213 miles per hour. Besides the advantages of raw horsepower, the Brabus 700 BiTurbo supercar is suited for a dramatic motoring experience. Possessing a special high performance exhaust featuring a pneumatic flap, the driver can adjust the engine note for a more civilized purr or a full grunt roar. The Brabus 700 BiTurbo can also be opted with the WIDESTAR body conversion kit adding additional genuine carbon fiber pieces on the exterior and interior. Priced at the equivalent of $349,690 in US money, the Brabus 700 BiTurbo is a rocket ride left affordable to only a few land-based pilots. No Comments on "Top Super Supercars"